AHS is pleased to announce that our Tennessee Health Connection Project has been awarded full URAC certification pursuant to their Health Call Center Accreditation, Version 5.0 program. This certification demonstrates that we have successfully completed the intensive review and accreditation process, and our processes and performance align with URAC’s rigorous, evidence-based standards for quality, accountability and service. 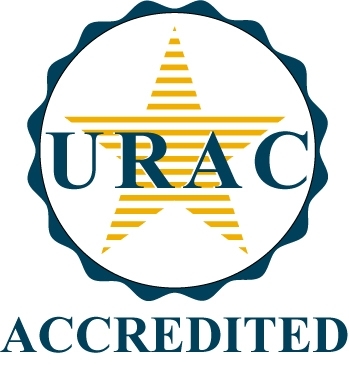 Our pursuit of URAC Health Call Center Accreditation is a testament to our dedication to quality management principles and our commitment to establishing an infrastructure that meets defined standards for staff training, call center performance, monitoring and much more. We are proud of our efforts to provide outstanding service to our clients and the callers we serve. Customer Service Week is an international celebration of the importance of customer service and of the people who serve and support customers on a daily basis. 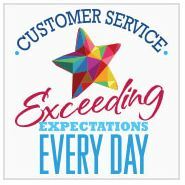 In 1992 the U.S. Congress proclaimed Customer Service Week a nationally recognized event, celebrated annually during the first full week in October. After months of hard work and dedication, we are excited to announce the launch of our brand new website! The new site is online at the company URL: https://www.automated-health.com. The goal of this new website is to provide our visitors with an easier way to learn about the services and solutions that AHS offers. The new website is interactive permitting visitors to browse information based on their own choice and gives better access to all of the web pages. Our current and prospective clients will find useful information about our services and highlights about the projects we have completed outlining the value created for each client. Among the new features, the site contains integrated social media buttons for Facebook and Linkedin to foster improved communication with clients. The site will be constantly updated with helpful information, articles, company announcements and client successes. The development team is proud to present this new online resource. Feedback is encouraged so please Contact Us with any comments or suggestions. Happy 20th Anniversary AHS and the State of Ohio! AHS has completed another outstanding contractual year with the State of Ohio on June 30, 2018. We now are starting our 21st year with the Ohio Department of Medicaid. This longstanding tenure is a mark of our commitment to providing our clients with a true partnership that continues to meet their evolving needs, provide service to some of the State’s most vulnerable citizens, and furnish flexible, responsive programming in a fluid regulatory environment. We thank the State for their vision, collaboration and communication. Most importantly, as we look back on the components of our service that have contributed to our success, we look forward to bringing them into the future in new and exciting ways. Fiscal year 2017-2018 was another successful one for our Ohio contract! We operate the Ohio Medicaid Hotline, which is a one-stop-shop for consumers. We handle calls concerning all Medicaid Programs in Ohio, enrollments into Managed Care Plans and MyCare Ohio Plans, Medicaid Buy in with workers disabilities, Qualified Income Trust, Foster and Adoption kids, Billing and Direct Reimbursement inquires to name a few. We launched several successful enhancements to the Ohio Medicaid Hotline during the previous year, and are excited to see what 2018-2019 brings… stay tuned, and many thanks to Ohio Department of Medicaid for their years of collaboration and partnership! AHS is proud of Mr. Eng Tan, Vice President of IT, on his award of CIO of the Year by the Pittsburgh Technology Council and Greater Pittsburgh CIO Group. The award is a testament to Mr. Tan’s accomplishments, vision and dedication to providing our clients, staff and consumers we serve with innovative technology that provides meaningful benefits. Congratulations to AHS Teams Blue, Black and Yellow on their completion of the Pittsburgh Pirates Home Run 5K/10K on Saturday, April 18, 2018. Their participation helped raise money for the Pirates Charities whose mission is to strengthen the community by supporting organizations and programs aimed at improving the lives of children and adults. AHS commends the State of Ohio on the successful transition to a 1634 State. The State continues to work tirelessly to simplify eligibility determination and the move to this new model, authorized in Section 1634 of the Social Security Act, allows for a single determination to be used for Medicaid and SSI. AHS has partnered with Ohio to transition participating individuals to the new delivery system with sensitive outreach and support to one of the State’s most vulnerable populations. With this initial population successfully transitioned, Ohio can now realize the benefits of simplified determination. AHS is proud of have supported our Ohio client in their move to a “Day 1” enrollment process where consumers are enrolled in a health plan at the time of Medicaid eligibility determination. The move is significant as it eliminates the gap consumers spend in fee-for-service, and will result in more streamlined and coordinated care from Day 1 of their Medicaid eligibility. This process involved months of coordination with our client and involved stakeholders, and we are proud of be part of a team that continuously strives for innovation and effective delivery. AHS is pleased to be the successful awardee of the Ohio Medicaid Hotline contract that extends our partnership with the State for an additional six years. For nearly 20 years, we have been proud to partner with the State and implement sensitive and innovative programming that meets the needs of the State’s most vulnerable citizens. We look forward to the continuing our partnership achieving outstanding levels of service for the people of Ohio. AHS is pleased to be the successful awardee of the Maryland Provider Enrollment, Re-Enrollment, Validation, and Update Services contract. We look forward to forming a strong partnership with the Maryland, and supporting the State in achieving its goals and vision for the program. ©2019 Automated Health Systems, Inc. All rights reserved.